Indiana's Commission for Higher Education and Department of Education today announced Indiana State University's Bayh College of Education as one of three regional partnerships between area colleges and school districts in an effort to ensure Hoosier high school graduates are prepared to succeed in college. These partnerships are part of Indiana's coordinated efforts to promote greater clarity and alignment between the state's K-12 and higher education sectors. State data show up to one third of all first-time Indiana public college students are placed in a remedial English or math course. Only one in four college students in remediation graduate within six years. "Indiana colleges and K-12 schools are coming together to send a clear message about what it means to be college-ready," Indiana Higher Education Commissioner Teresa Lubbers. "These regional partnerships are an important step in our ongoing work to equip Hoosiers with the knowledge and skills they need to complete college and compete in the workforce." Each of the regional partnerships will be supported by grants from Indiana's Core to College initiative, a three-year grant program designed to increase college readiness and graduation rates through improved alignment between K-12 and higher education. Indiana is one of 10 states selected to participate in the national Core to College initiative. Brad Balch, dean of the Bayh College of Education, said, "Hoosiers have much to gain from an aligned system of education in which graduating high school seniors experience a seamless transition to post-secondary opportunities. This grant focuses on student success based on Core 40 implementation. We are grateful to be a partner in this success." Each regional partnership will receive a $36,000 grant over a three-year period. The grantees were selected from a pool of 13 college applicants by a review committee composed of representatives from the Commission for Higher Education, Department of Education, Indiana's Education Roundtable and the Center of Excellence in Leadership of Learning (CELL). • Indiana State University - Collaborating partners include Ivy Tech Community College (Wabash Valley), South Vermillion Community School Corporation, Southwest Parke Community School Corporation and Vigo Community School Corporation. The effort will be coordinated locally by Leah Nellis, Associate Professor for the Bayh College of Education at ISU. • Indiana University Purdue University Columbus - Collaborating partners include Ivy Tech Community College (Columbus), Bartholomew Consolidated School Corporation, Decatur County Community Schools and Jac-Cen-Del Community School Corporation. The effort will be coordinated locally by Catherine Brown, Director of the Center for Teaching and Learning at IUPUC. • Purdue University Calumet - Collaborating partners include Ivy Tech Community College (Northwest), Crown Point Community Schools, the Hammond Academy of Science and Technology, Merrillville Community Schools, School City of East Chicago and School City of Hammond. The effort will be coordinated locally by Alice Anderson, Dean of the School of Education at Purdue Calumet. "To make sure our students are ready for life after high school, it is critical K-12 and higher education leaders at the state and local levels work together to align expectations and policies," Superintendent of Public Instruction Dr. Tony Bennett said. "In Indiana, we are committed to forming more productive and coordinated K-12/higher education partnerships like these that support students' success throughout their lives." Denise Collins, Bayh College of Education associate dean, said, the project will build on the university's relationships with Parke, South Vermillion, and Vigo counties to provide college readiness strategies for K-12 students. "In conjunction with Ivy Tech-Wabash Valley, we will engage a multifaceted approach to providing information, resources, and professional development for students, parents, school personnel, and college faculty and administrators," she said. "This award places Indiana State University at the forefront of Indiana's Core to College initiative and acknowledges our commitment to student success." Nellis said the Wabash Valley partnership will include a website, community events, K-12 and higher education collaborations, and workgroups designed to create shared understanding about what it means to be college-ready and how to support students' knowledge and skill development for college success. 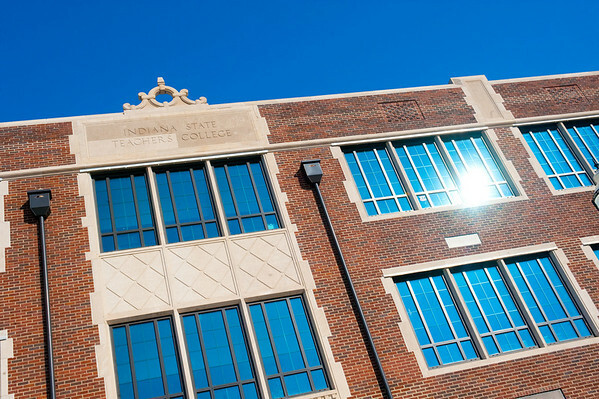 "The Core to College Local Level Leadership Cadre (CTC LLLC) award will engage ISU in the current innovative efforts to connect K-12 and higher education for the purpose of supporting students to be ready for and successful in college," she said. Core outcomes from regional grant activities will include increasing local awareness regarding the specific knowledge and skills required to be college-ready; identifying student work samples that demonstrate college-readiness and can be used to inform effective classroom instruction; and articulating how to use Indiana's Common Core standards and assessments to facilitate students' transition to college-level coursework. Funding for Core to College is provided by the Lumina Foundation for Education, the William and Flora Hewlett Foundation and the Bill & Melinda Gates Foundation through Rockefeller Philanthropy Advisors. Learn more about Core to College here. Indiana State is one of three regional partnerships between area colleges and school districts in an effort to ensure Hoosier high school graduates are prepared to succeed in college.